Finally, Naomi Osaka got her moment. Just over four months after she was cast as an extra in an explosive US Open that was more soap opera than tennis match, the Australian Open final was everything Osaka's first Grand Slam title couldn't be for her in the aftermath of of an extraordinary display from Serena Williams. With Williams out of this tournament at the quarter-final stage there was always likely to be more room in the spotlight for whoever lifted the trophy in Melbourne and you couldn't help but get swept up in the poetry written in Osaka's resilient 7-6 (7-2) 5-7 6-4 victory over a gracious loser in Czech star Petra Kvitova. This time the drama was in the match play rather than the histrionics, with Osaka serving for the match in the second set before a stunning fightback from Kvitova put it back on a knife's edge as she willed her way into the decider. 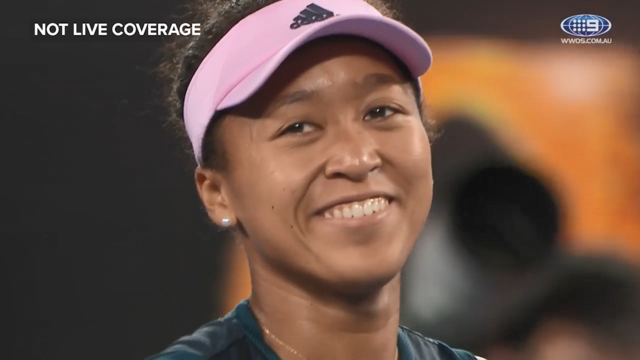 It was the type of momentum swing that would have filled the heads of many other players with doubts but Osaka soon found her composure and settled back into a position of dominance after getting the decisive break early in the third set. Calling the match for Channel Nine, tennis legend Jim Courier summed up Osaka's moment of Grand Slam redemption when he described it as a kind of "justice" that Osaka would get a proper moment of glory so soon after an overshadowed maiden major title that she's since described as "bittersweet". "This match was a wonderful example of everything that's right with tennis and Naomi Osaka's going to get that moment that will be uncluttered, there'll be no problems associated with this win in the same way that coming out of the US Open there was so much drama and so much focus on Serena and the chair umpire that she was largely underlooked in this seminal moment in her life," Courier said. "And suddenly in this very next major there's some justice in some ways, the fact that she's going to get this glory now and it's going to be all hers." It's a point that was reinforced by Courier's co-commentator Sam Smith who said the "sporting" contest between two players battling as hard as they could for the trophy without overstepping the line was what the sport of tennis needed after the scenes in New York last September. "I think we needed a sporting final, particularly on an arena that was named after Rod Laver, not just because of his achievements but because of how he conducts himself, and we certainly got that tonight," Smith said. While Osaka would have felt some serious pressure after blowing match points on Kvitova's serve in the third set, only once did she put her frustration on show with a loud scream as she felt the championship slipping away from her. Equally, Kvitova would have felt that she let her moment slip after seizing the momentum in the second set but even in one moment when the chair umpire gave some encouragement to Osaka to challenge a line call on a crucial point, which turned out in favour of the Japanese star, there were no grumbles or complaints, the aggression was saved for her ground strokes. Osaka's win at the US Open ended with one of the most awkward trophy presentations of all-time, with what should have been the greatest moment of her life shrouded in boos as she covered her face with her visor. 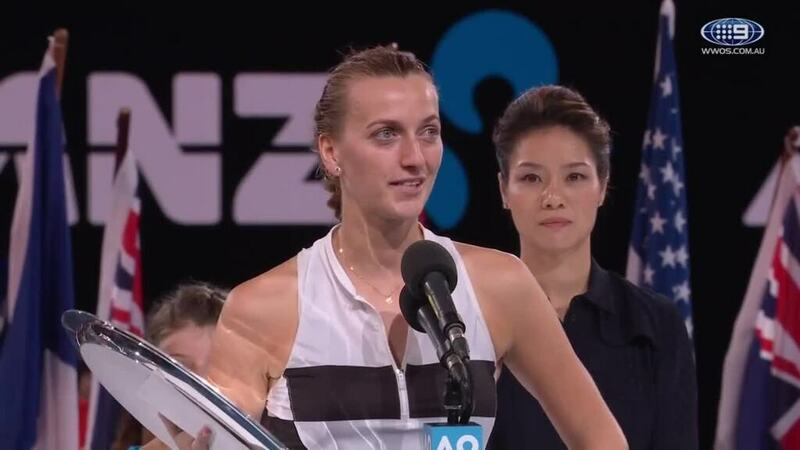 There was none of that this time around, with Kvitova giving a gracious and emotional runner-up speech and Osaka repaying the favour as she struggled to find the words to describe her feelings. At least this time around there'll be no bitter to co-habit the sweet.